An overview of the life of the ancient prophet-historian Mormon and the significant role he played on the accomplishment of the Book of Mormon. It briefly details his life as a child, his military service career, and more importantly his role in writing and compiling sacred records which were later translated and became known as the Book of Mormon. Mormon was a man who lived in ancient America, about A.D. 311-385. He was chosen by Jesus Christ to preserve and protect sacred records, as well as add his own history and experiences to them. The records which he wrote and preserved would later become The Book of Mormon. Members of The Church of Jesus Christ of Latter-day Saints recognized and acknowledged the Book of Mormon as a scripture, a holy writing that’s similar to the Holy Bible. Both these books: The Book of Mormon and the Holy Bible, are both important for the members of the Church, as they use these in their religious studies. 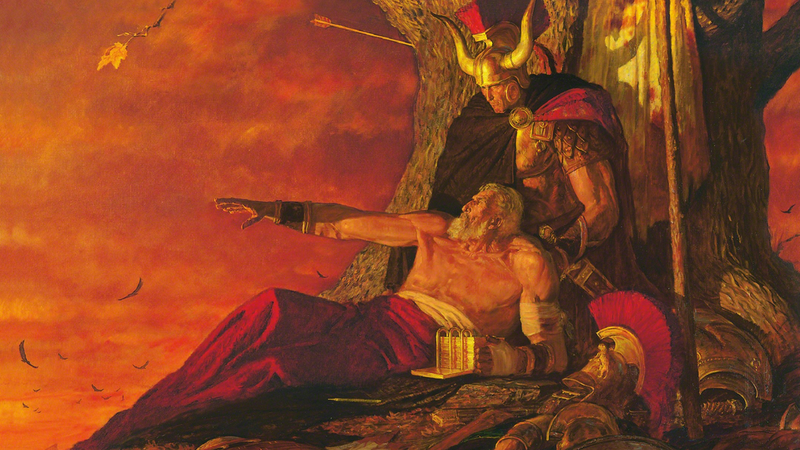 Aside from being a prophet and historian, Mormon was a born leader who commanded many military troops in his native army. Mormon was born, raised and was a part of the Nephite civilization; a race of virtuous, honorable, historically upright and God-fearing people who once inhabited ancient America. 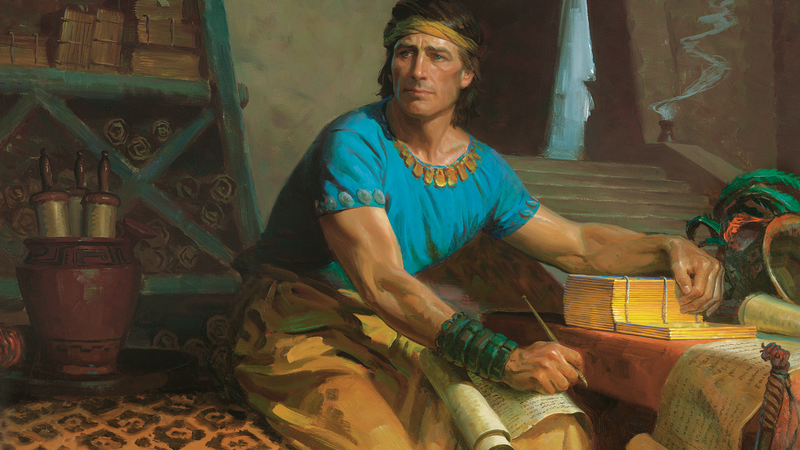 At the young age of ten, Mormon was approached by an ancient record keeper named Ammaron. Ammaron was ordered by God to take care and cautiously keep a series of valuable historical records which were written on thin, gold plates. The importance of these records is huge considering that it contains hundreds of years of history, and has survived the test of time as it has been transferred from one generation to the next. With the cruelty of people during those periods, Ammaron then hid the records and buried them in a hill. Ammaron told Mormon that when he reaches the age of twenty-four, he would then find all the records that he had hidden. Mormon grew to become a strong willed and faithful young man. When he was fifteen years old, Jesus Christ appeared to him. Mormon wanted to teach his community about Christ and His doctrines, but the people were not willing to listen. At barely sixteen years old, he was chosen as commander of the Nephite armies. He led his civilization’s military troop for so many years against the Lamanite army. Though he’s considered a great military leader, his forces were not strong enough to fight and defend. With their impending defeat, Mormon’s Nephite armies then retreated. Mormon’s fate as a historian and record keeper came to realization when he reached the age of twenty-four. He got hold of the hidden records the way Ammaron has envisioned it. Mormon added so much to these records by recounting the lives of his people and the great wars they have experienced. He also wrote about the life, repentance and baptism of Jesus Christ, and about the Holy Ghost. Mormon compiled everything with what has been written on the records with his own personal history, and made it into a single volume book. As the wars continued between the two races, these have caused so much ravage and destructions. Mormon often hid to protect himself, and of course to assure also the safety of the records. The devastating battle has left thousands of people dead, and continued wrecking havoc to both races. 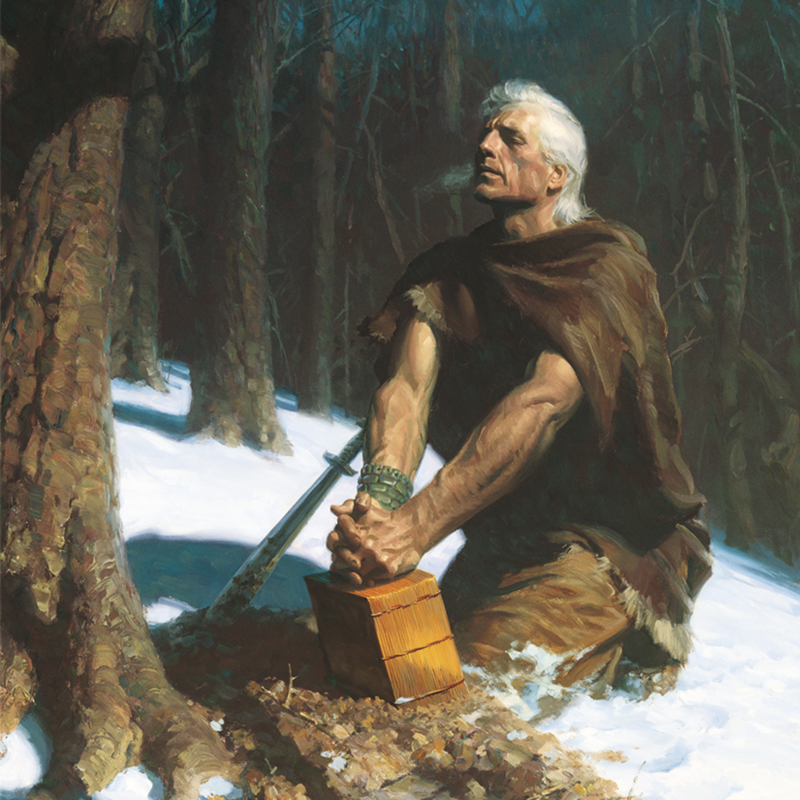 Mormon was also wounded, which forced him to hide and bury many of the sacred records. He gave some of the on hand records to his son Moroni, and instructed him to write about the final history of their people. As a good son, Moroni gave his contributions to the records and followed his father’s order of burying the completed records again. After such a long time, the buried records were unearthed nearly two-thousand years later. The ancient language used there was then translated to English. It was named and published honoring Mormon, the man who played the hero’s role of compiling, writing and preserving it. Thus it was given the title The Book of Mormon. What is the Book of Mormon, and how does it compare to the Bible? One of the things that I found very effective to stay positive despite the hard situations we face in life, is to always remember the Lord Jesus Christ and His atonement, and the sweet feeling I feel from the Holy Ghost every time I read The Book of Mormon. Through remembering our Savior Jesus Christ, His sacrifice and by reading The Book of Mormon, I can feel peace within my bosom and obtain the spiritual power to keep moving forward. I testify that Jesus is the Christ and that He lives. He is our advocate to our Heavenly Father, He is our Savior and Redeemer, and He is always anxious and willing to help us. I also bear my witness that The Book of Mormon is true. This very sacred book was prepared by God for our time in order for us to come to know Him, and the way to follow Him, so that we may be saved in the last day together with our families and loved ones. As we study diligently and use The Book of Mormon in all our endeavors, I know that our choices and steps will be guided. I am so thankful that I became a member of this Church, even The Church of Jesus Christ of Latter-day Saints. I know that I have been rescued by our Master. Therefore, I know that anyone that will come unto Him may be rescued as well, and their faith in Him will be strengthened despite the hardships, even the hardest situation that will come to them.